I read a great quote by Charles C. Noble today: “You must have long term goals to keep you from being frustrated by short term failures.” It’s a simple quote—direct and to the point. But how simple is this principle to actually put into practice? Everyone has some kind of goal, but in business, the importance of materializing these goals from inspirational posters on the wall to real action can be a bit more complex. 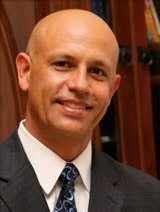 Especially in an economy that has had its shares of ups and downs, it can be easy for businesses to get discouraged and really begin to doubt whether their goals were realistic in the first place. This is why the process of creating goals, both short and long term, are of the utmost importance. Obviously, you know that without goals, your business plan and avenues of execution will waiver without any real direction. But even more important, your staff, management team and sense of community within your organization will be increased tenfold when you’re vocal about what your team is working to accomplish. This means sharing with your team the big picture and making sure that they understand exactly how the things they’re doing today is going to provide growth, not only for the company, but for them personally. Too often, goals are set and not reached— not because of a lack of desire, but because they are not treated according to the type of goal that they truly are. So what types of goals should you set in the first place? Short term: These should be goals that can be quickly reached and will have a quicker effect on increasing your bottom line. These short term goals should be what will help you reach your next milestone and thus, positively affect the big picture within your long term goals. Reaching short term goals may not be the whole enchilada you’re looking for, but they’re definitely worth celebrating. After all, congrats is in order for you and your team after taking yet another step towards where you want to be as a business. Milestone: These are made up of your short term goals. Milestones could include the opening of a new store, closing on a huge contract, or even reaching a certain number of employees. Either way, these goals are the building blocks of the big picture. They’re a bit more challenging to reach than your short term goals, but are big enough puzzle pieces that you can really begin to see clear, constructive movement towards what you ultimately want to achieve. When you give your staff an idea of what your long term goals are, they not only know the importance of accomplishing smaller tasks, but also how those tasks are going to help create bigger successes and even better, more opportunities for them. Whether your long term goal is to become a nationwide chain or to take a greater percentage of the marketplace than your top competitor, these goals are the ultimate in what you’re aiming for. This means that these are naturally complex, detailed and strategic in nature. However, by breaking these long term goals into a series of milestones and short term objectives, your long term goals suddenly become organized, in perspective and more importantly, attainable! How can you use these goals to show your customers you’re on the right track? As with any business, it’s important that your clients know that your trustworthy, thorough and client centric company is why you’re one of the top dogs in your game. Even if you’re not yet one of the leaders in your industry, properly set goals, the right staff and consumer loyalty are what will help you skyrocket to success. Ultimately, the question is “how can you show your clients that your company holds high standards?” Well in my case, I like to lay it out there up-front. That's the essence of our up-front communication guarantee! Also, our company has it's mission statement proudly displayed on the home page of the website. 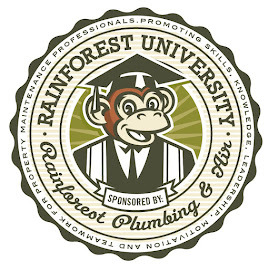 It tells the whole world that our primary goal is to satisfy each and every customer of Rainforest Plumbing & Air. Along with the guarantees of being timely, accurate and fair, we are telling our customers that we’re confident in our mission of providing the best service possible. Remember that setting, and especially meeting these goals aren’t always easy. Sometimes, the smaller building blocks will change but the big picture and end goal will remain just as steadfast as before. The key is to set yourself attainable goals. Reach them piece by piece, and put the small failures behind you but only after you've learned from them. The truth is, setbacks can and will happen. Some goals will change, prove themselves to be way more difficult than you previously thought and even prove to be money pits. But with the help of good leadership and a motivated team, you'll realize you're company is capable of a whole lot more when you take the time to set meaningful goals.